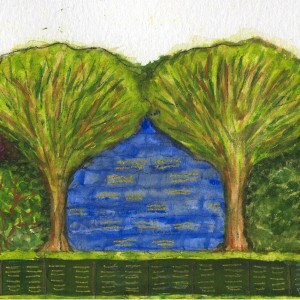 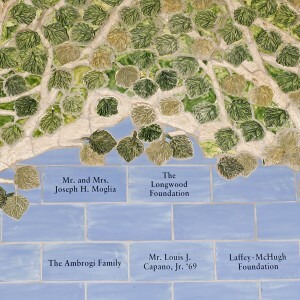 Mural inspired by the origin of the school name: a view of the Delaware River through an arch of as seen from The Patio building on campus. 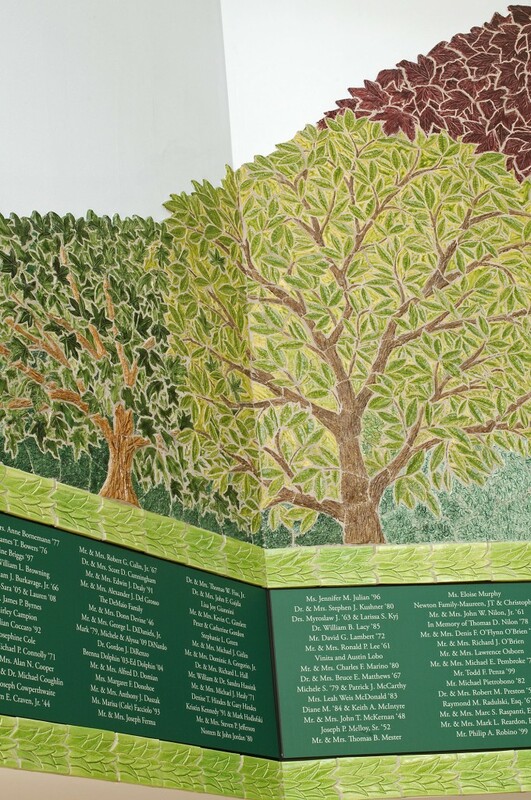 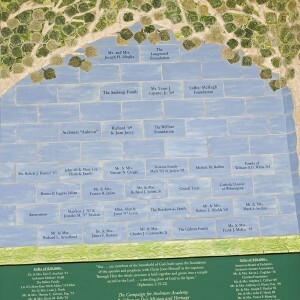 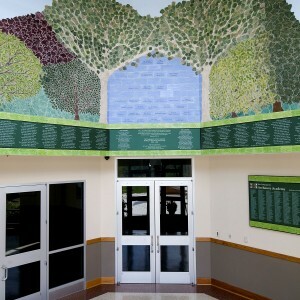 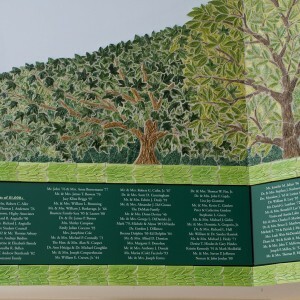 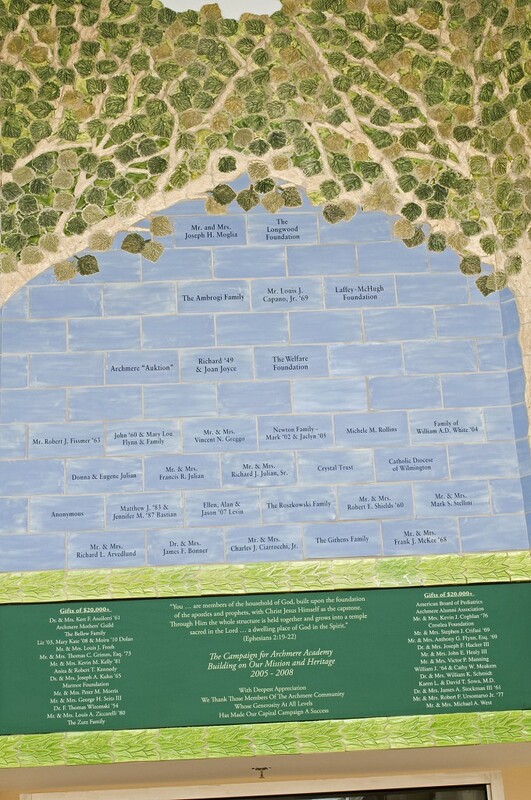 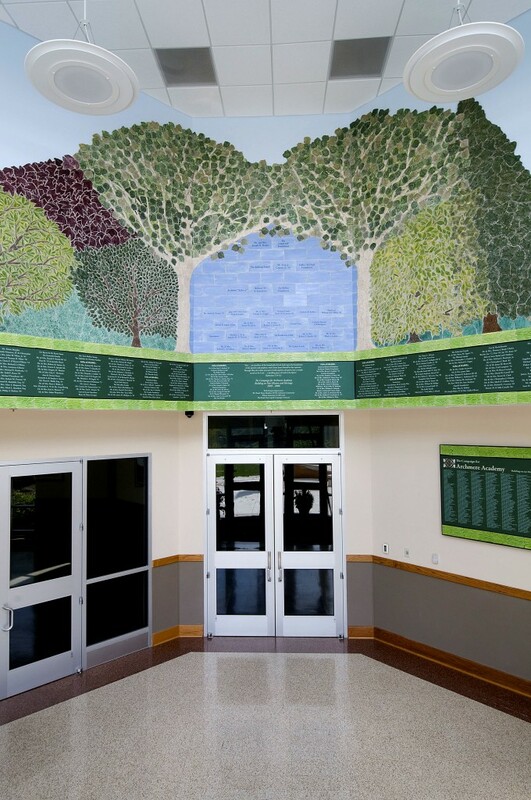 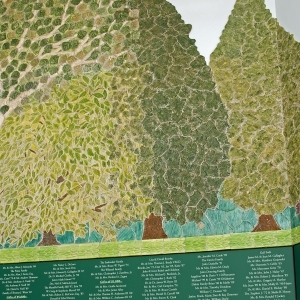 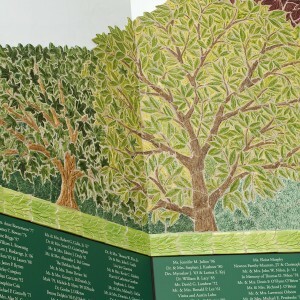 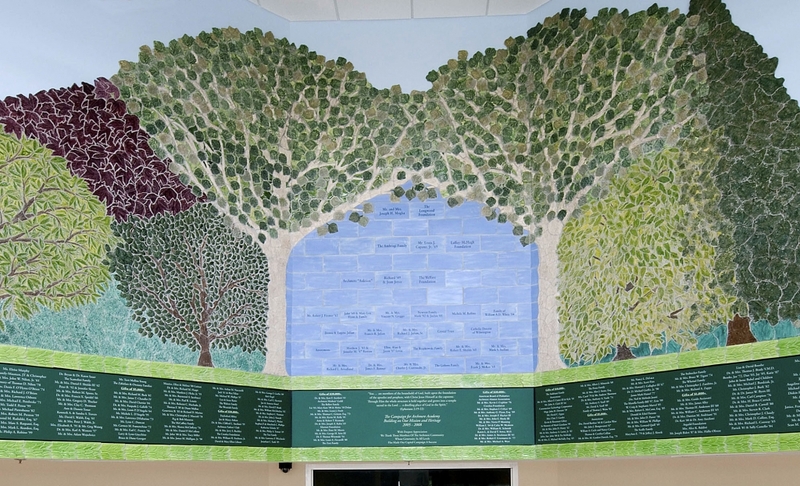 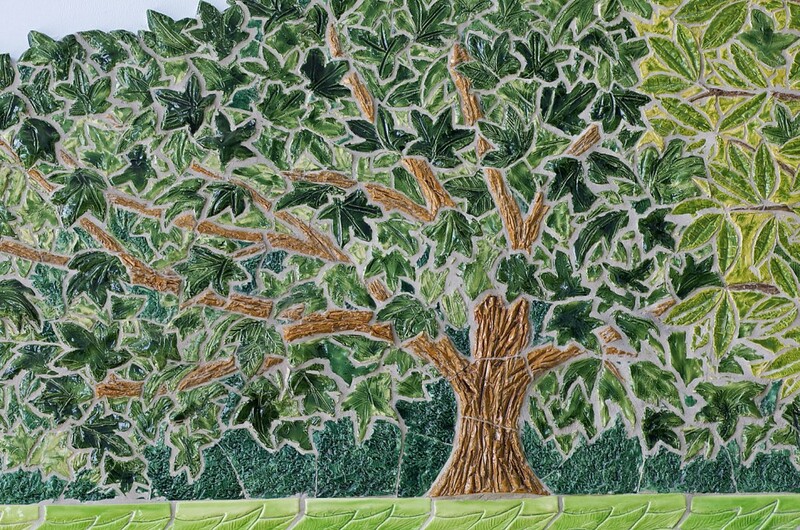 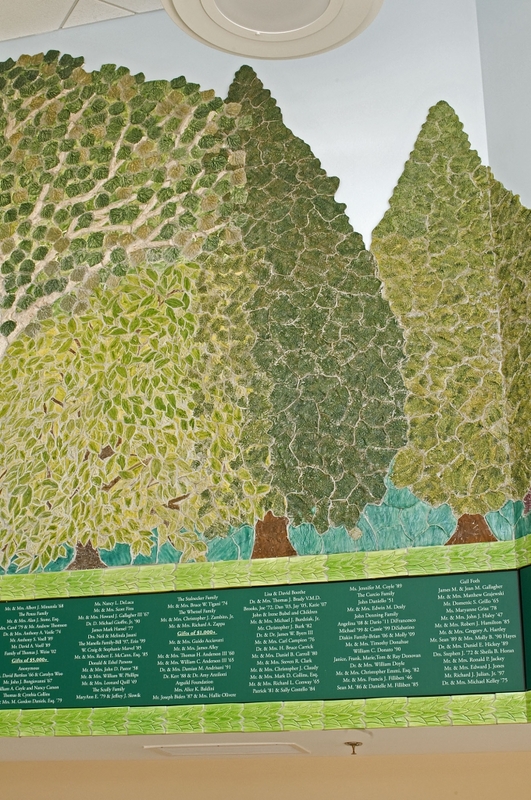 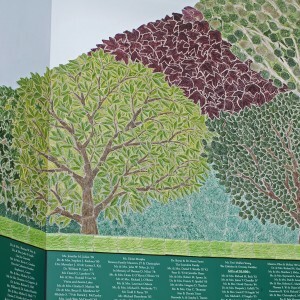 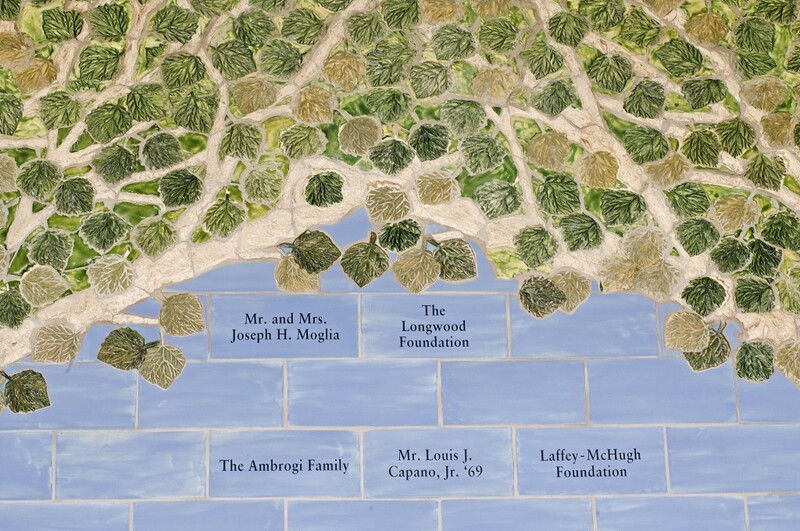 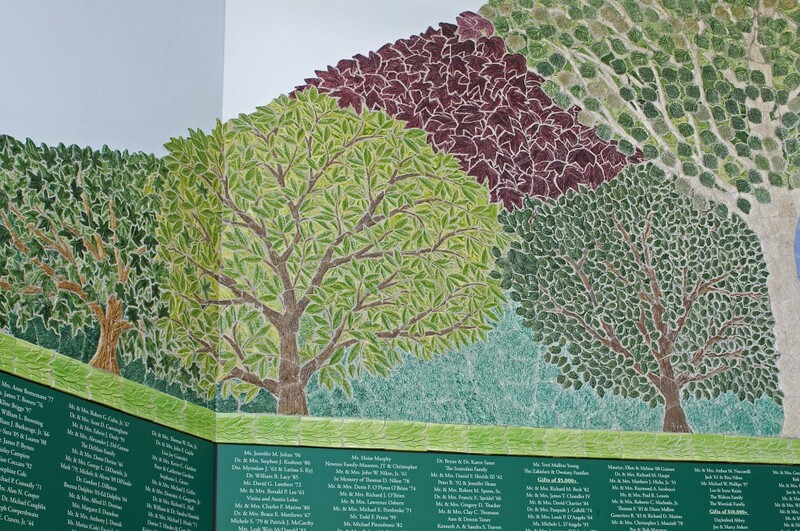 Located in the school’s main entry, the mural recognizes donors to The Campaign for Archmere Academy, the biggest campaign in school history. 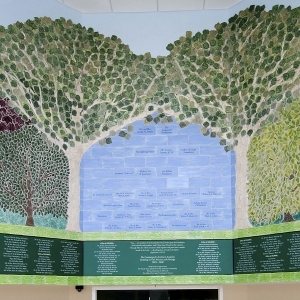 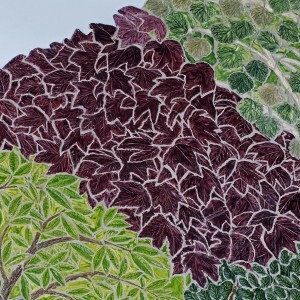 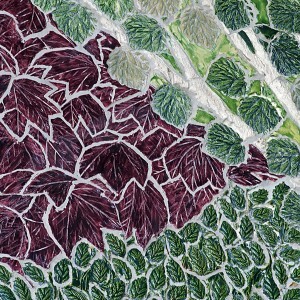 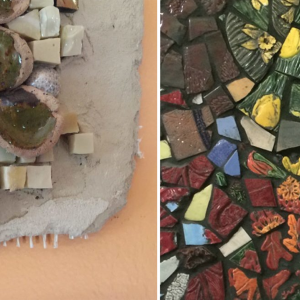 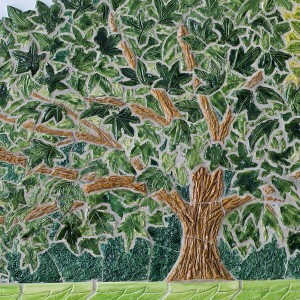 Simply put, Karen understands the culture of our school and has captured our history & traditions in her work. 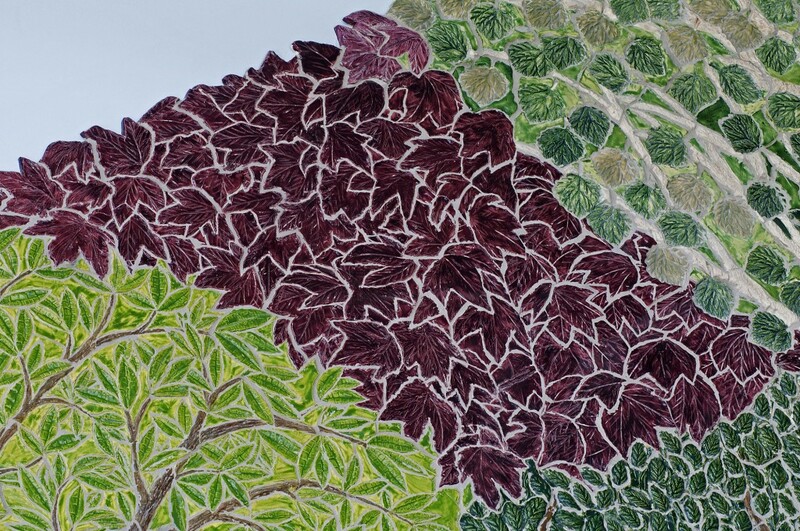 Having someone who takes the time to explore what the client wants and interjecting her expert direction at the right moments is a key ingredient to a healthy working relationship.